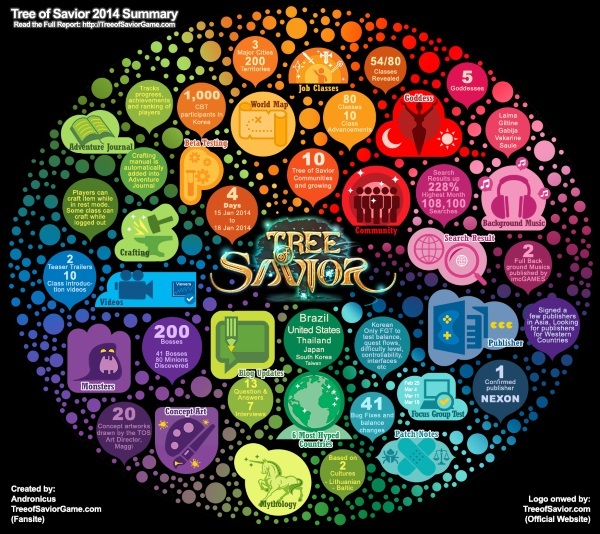 Our partner TreeofSaviorGame.com has produced a new infographic summarizing Tree of Savior news and information in 2014. Check it out below (click on the image for the full size). Kingdom War, Tempest Wings, Perfection System and The Soul of Ancient Hero will be updated in CO 3.0 one after another.